Round Two - Here we go. So it happened again. Mom is the coach for Kaden's team for the second year in a row. I wasn't planning on coaching this year but it kind of was the only way to keep a majority of these boys together. This year we had 4 boys returning from our team last year and joining us were 4 boys from our baseball team and two more boys from another school that a few of our kids go to. Everyone knew someone & no one would be the odd man out -- never fun. 2nd grade basketball is a lot different than first grade ball -- you can steal. And that is what EVERY kid wants to talk about in practice and in game, CAN WE STEAL THE BALL NOW. So we named our team The Stealers. Even though, we don't spend a lot of time focusing on stealing, we are still focused on fundamentals and if stealing is all that happens, no one is learning anything. We have a pretty solid team -- and so far we are able to compete most teams we have played for at least a period of time. Our shots haven't fallen like we would like them too, our defense isn't as tight as we would like it to be all the time but we are getting better and better with each and every game. I honestly kind of enjoy coaching these boys -- they're such great kids with supportive parents too. And then there are the OWLS. 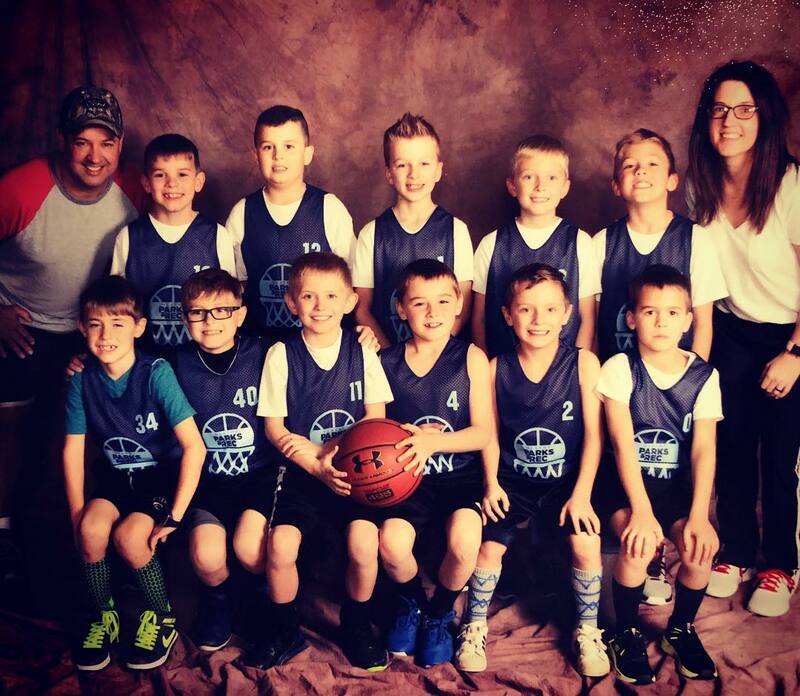 Logan was really hoping that I would be able to coach him too but one of his friends' mom was already signed up and we felt it was more important for him to play with his friends than for me to be his coach. We agreed to a few extra at home coaching sessions with me though. 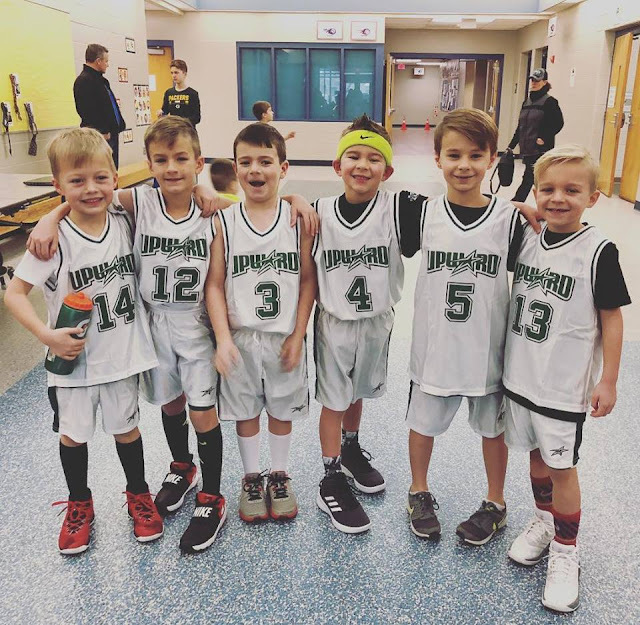 This would be our first experience with Upward but since most of the boys had already signed up with Upward, we jumped on the train. So far so good. He is having a blast and the kid does not stop smiling and in return, neither can we.